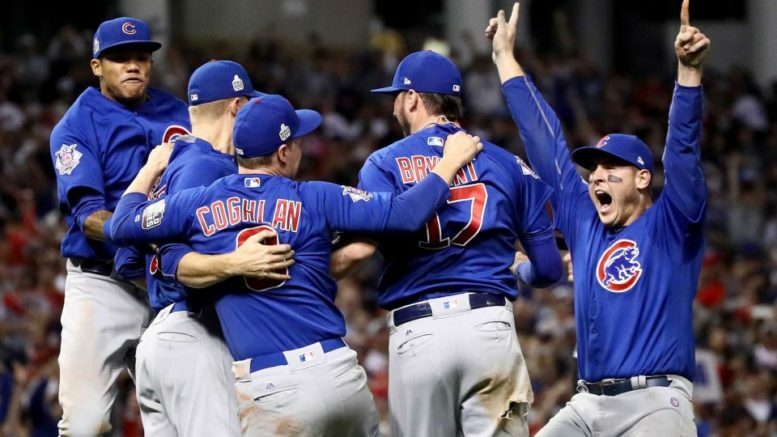 The Chicago Cubs' thrilling Game 7 win over the Cleveland Indians was just one of many memorable moments from professional sports championship games in the past year. Yes, it was the biggest comeback in Super Bowl history. Yes, it was the first overtime game in the 51-year history of sports’ biggest spectacle. But was it really an all-around great game? That’s debatable. In many ways, it was like watching two games, both blowouts. But it certainly got entertaining late, after it looked ugly early. The ending seemed predetermined after Julian Edelman’s circus catch amid three Falcons defenders, and unfortunately the Falcons never touched the ball in overtime. But because Atlanta suffered such an inexcusable meltdown, it’s hard to say this was any more of a “classic” than, say, the Patriots’ heart-stopping Super Bowl XLIX win on Malcolm Butler’s interception at the goal line, or either of the Giants’ two thrilling Super Bowl wins against New England in 2007 and 2011. If you thought the Patriots’ 25-point rally was thrilling, it’s hard to argue that Clemson’s comeback feat against the top dog in college football wasn’t downright awe-inspiring. It looked like the Crimson Tide were well on their way to an unprecedented fifth title in eight years when they took a 14-0 lead four-plus minutes into the second quarter. Alabama led 24-14 early in the fourth quarter, but ultimately the Tide kept letting the Tigers hang around, which proved costly in the end. Alabama and its world-class defense held a 31-28 lead when DeShaun Watson and the Tigers began their final drive at their own 32-yard line with 2:01 to play. In his final college game, Watson calmly led Clemson on a nine-play, 68-yard drive capped by a 1-yard touchdown pass to Hunter Renfrow with one second to play, giving Clemson its first championship in 35 years. There was no choke-job, and no what-ifs, couldas, shouldas, or wouldas. Clemson earned its place in history with a drive for the ages against all odds despite playing from behind all night. If you saw the game, it was evident throughout the entire fourth quarter that Dabo Swinney’s troops simply wanted it just a little bit more than Nick Saban’s team. If you thought Game 7 of the World Series and Super Bowl LI were amazing, Game 7 of the NBA Finals was as good as it gets. Sure, the NBA is top-heavy and there were probably many fans bored to see Golden State and Cleveland going at it for the second year in a row, while also watching LeBron James participate in his sixth straight NBA Finals. But the way this ending was written, it was too enjoyable to find any kind of bitterness in it. The Warriors were the best team in NBA history in the regular season, topping Michael Jordan’s Chicago Bulls’ record for regular-season wins with 73. The Warriors clawed back from a 3-1 deficit against the Oklahoma City Thunder in the Western Conference finals, and it seemed like they were on their way to capping a historical season with a second straight NBA championship. But after going up 3-1 in the series, King James and the Cavs rose up with a fury. Though no team had ever rallied from a 3-1 deficit in the finals, the Cavs won Games 5 and 6 by a combined 29 points. Still, with Game 7 on the road, the odds were against them, and things didn’t look promising when the Warriors took a 54-46 lead less than two minutes into the third quarter. But Cleveland would not be denied. The game stayed close the entire rest of the way, and the signature moment occurred with 1:50 left in regulation, courtesy of James of course. James raced in to block a layup by Andre Iguodala that preserved an 89-89 tie, and sure enough the Warriors would not score again. Kyrie Irving put Cleveland ahead for good with a three-pointer over league MVP Stephen Curry with 53 seconds to play, and the defense sealed the victory after that. Kevin Love forced Curry into a difficult three that he missed, and despite a painful wrist, James was able to connect on one of two free throws to ice the championship. It was the city of Cleveland’s first major professional sports title since 1964. The “stinker” of the bunch, if you will, the 2016 Stanley Cup still had its share of thrilling moments. There was really nothing overly climactic about the Penguins’ clinching, 3-1 victory in Game 6, giving the franchise its second Stanley Cup in eight years. Sidney Crosby got an empty-netter with 70 seconds to play, and the Penguins hoisted the Cup on San Jose’s home ice. Still, the first three games of the series were exciting. Pittsburgh took Game 1 on Nick Bonino’s goal with under three minutes to play, 3-2. In Game 2, it was Conor Sheary’s turn to play hero, notching the game-winner in overtime for a 2-1 Pittsburgh victory. The Sharks were able to return the favor in extra time in Game 3, with Joonas Donskoi winning it for San Jose 12:18 into OT. The road team would win the next three games, with Pittsburgh taking Game 4 in San Jose before dropping Game 5 at home. This wasn’t a boring Stanley Cup finals by any stretch, but far from the classics we saw in other sports over the past year. The craziest ending to any of these title games may well have been the 2016 NCAA championship game, ironically played in the same building, NRG Stadium in Houston, as Super Bowl LI. The No. 2 seed Wildcats figured to have their hands full with the No. 1-seeded Tar Heels. UNC led by five at halftime and held that same margin three minutes into the second half. But the Wildcats surged ahead and appeared poised to stay in front. Villanova led 70-64 with just over 90 seconds to play before Marcus Paige drilled a three — a sign of things to come — to cut the deficit to 70-67. UNC twice trimmed the deficit to a single point before two free throws by Josh Hart put Nova up 74-71 with 13 seconds left. That’s when things turned absolutely crazy. First, it was an amazing, off-balance trey from Paige to tie the game at 74-74 with 4.7 seconds to play. After a 30-second timeout, the Wildcats hustled up the floor, with Final Four Most Outstanding Player Ryan Arcidiacono dropping the ball off to Kris Jenkins, who drilled a buzzer-beating three-pointer from 25 feet out to give the Wildcats their first national championship in 31 years. Be the first to comment on "“Epic” Super Bowl Caps a Year’s Worth of Championship-Caliber Title Games"